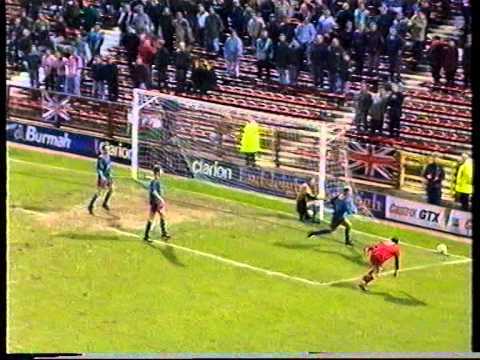 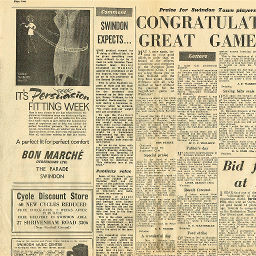 A single goal from Peter Thorne gives the Town a vital win in a relegation battle with Sunderland. 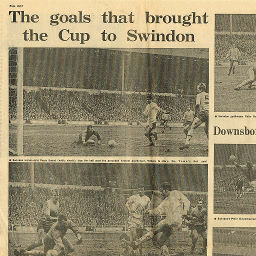 After the first half sending-off of Wayne Allison, Swindon survive a second half onslaught to record victory over Stoke - Peter Thorne's goal the difference between the sides. 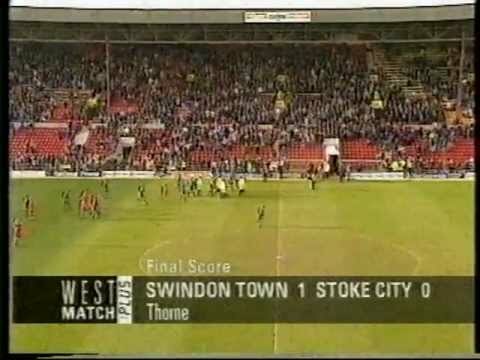 A 3-1 win over Burnley sets a new club record - the Town's 14th consecutive home league victory. 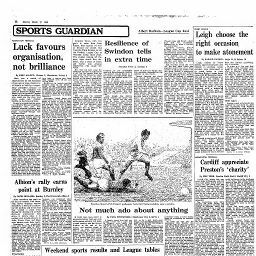 Peter Eastoe is signed from Wolves on a permanent basis after a successful loan spell, for a club record fee in the region of �80,000. 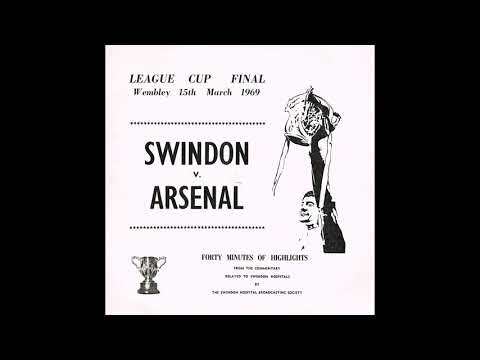 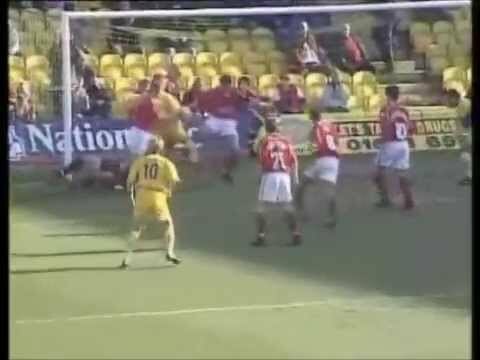 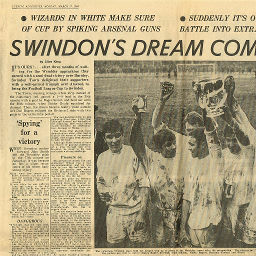 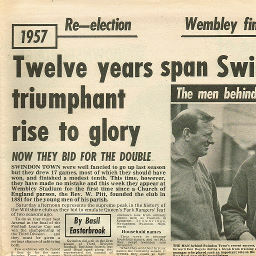 Possibly the greatest achievement in the club's history, Swindon beat Arsenal 3-1 at Wembley to win the League Cup - the Town's only major honour. 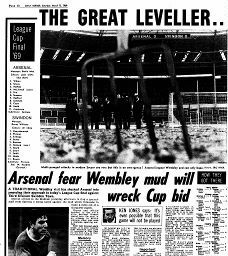 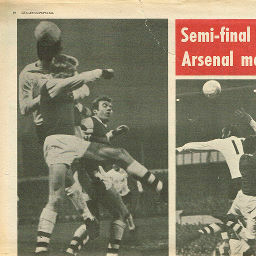 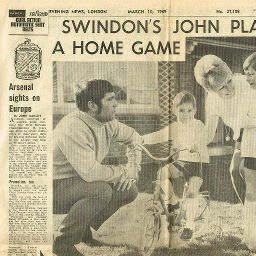 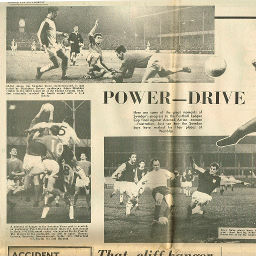 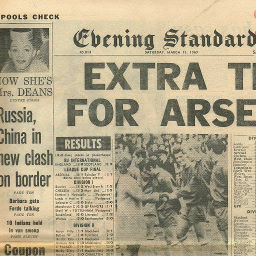 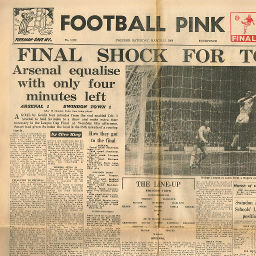 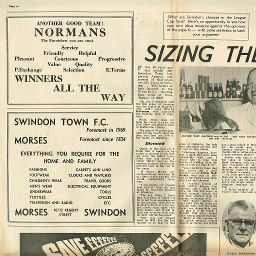 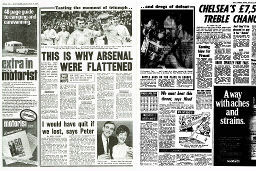 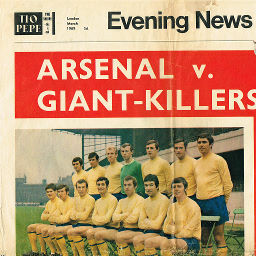 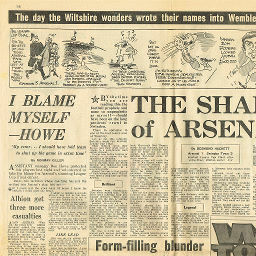 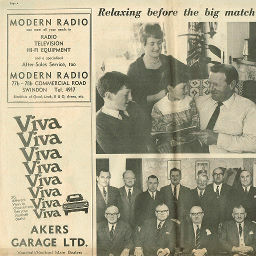 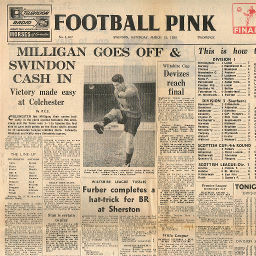 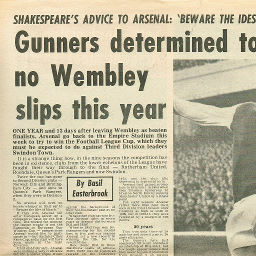 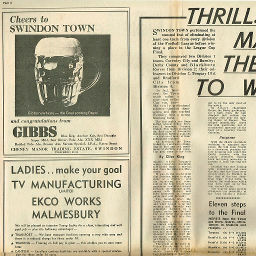 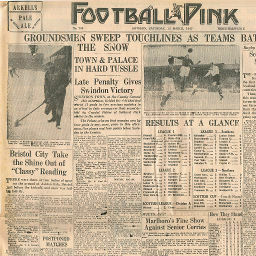 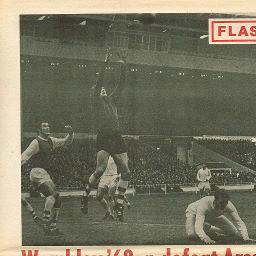 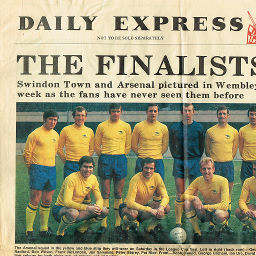 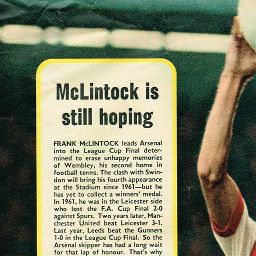 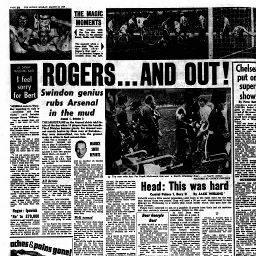 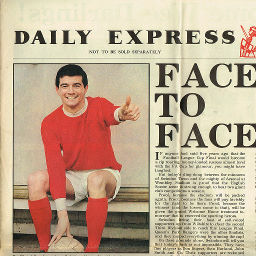 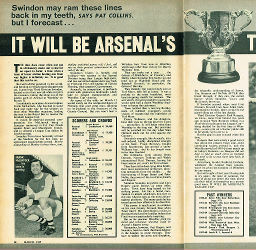 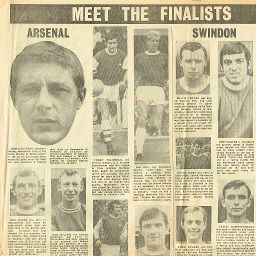 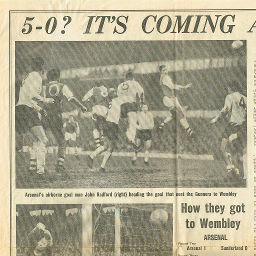 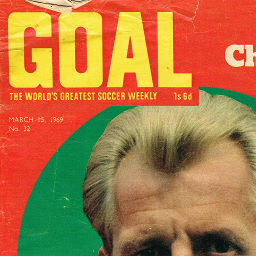 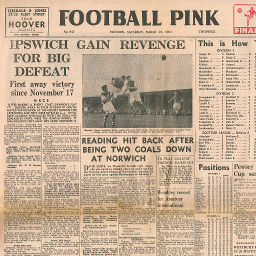 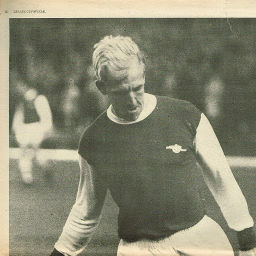 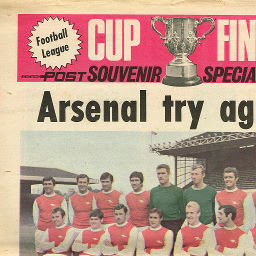 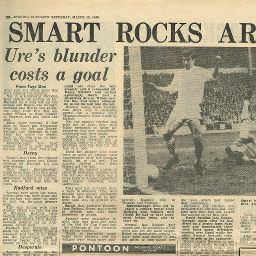 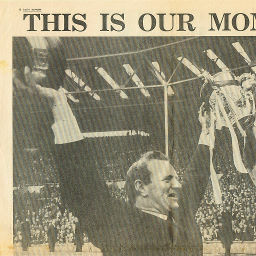 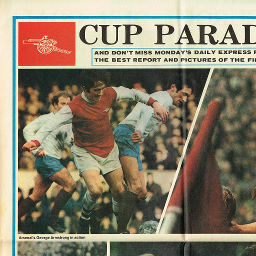 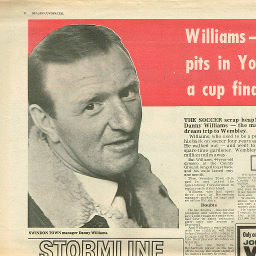 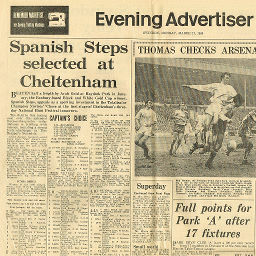 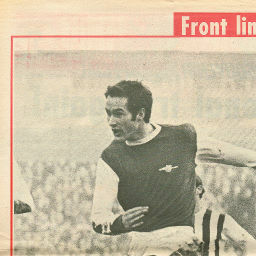 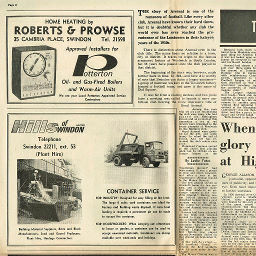 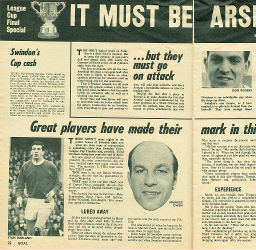 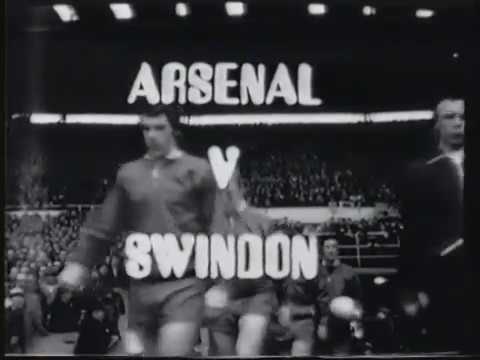 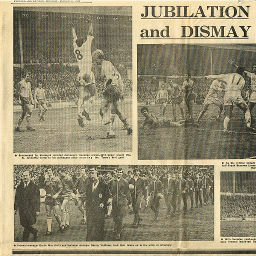 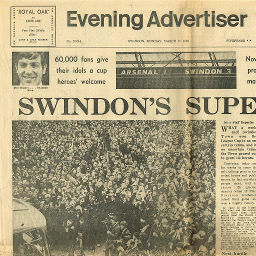 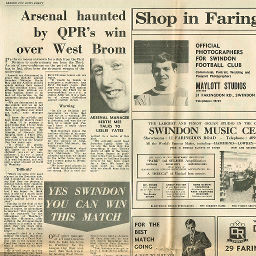 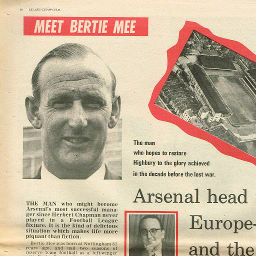 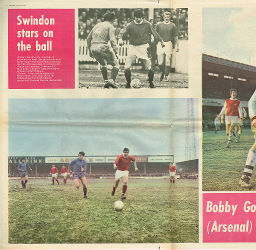 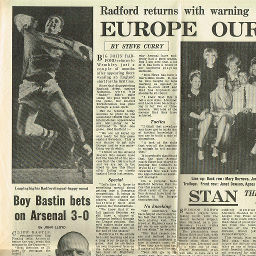 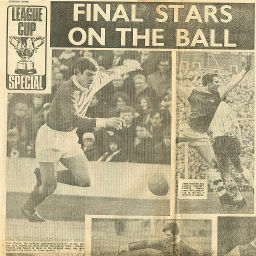 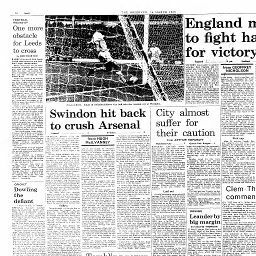 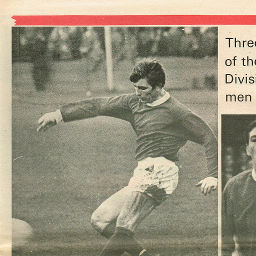 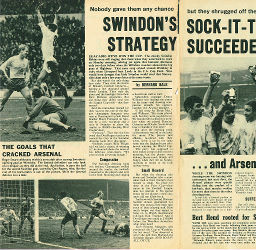 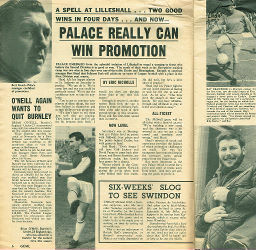 Click to view a newspaper report of Swindon's 3-1 win at Arsenal in the 1968-1969 season. 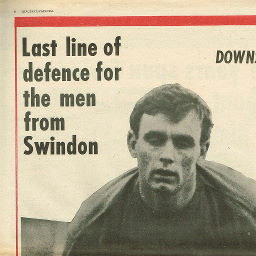 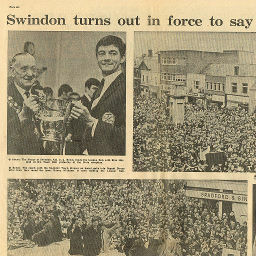 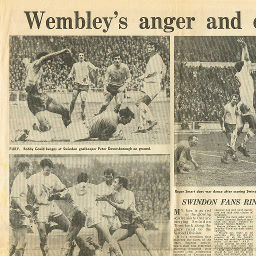 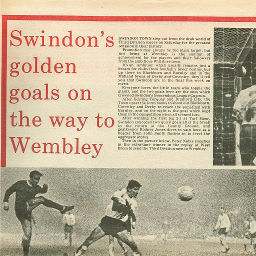 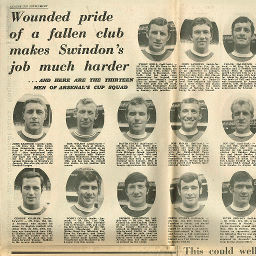 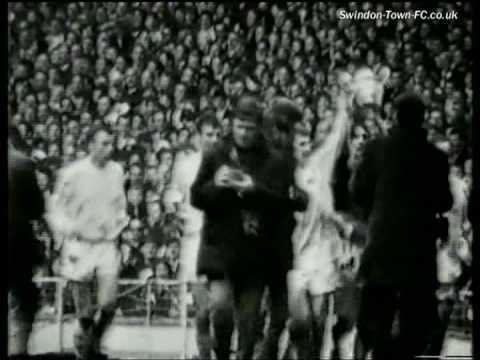 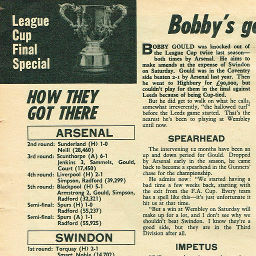 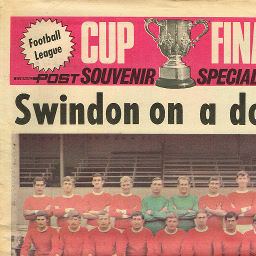 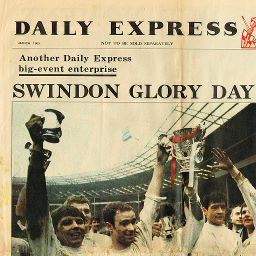 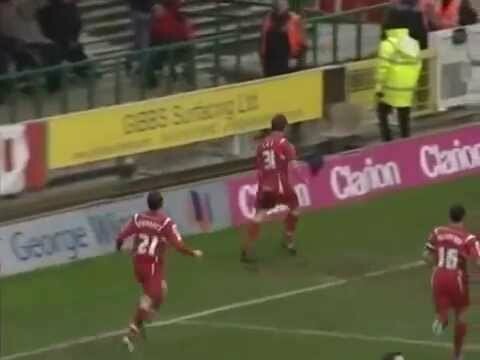 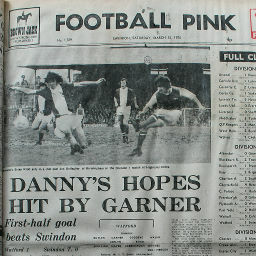 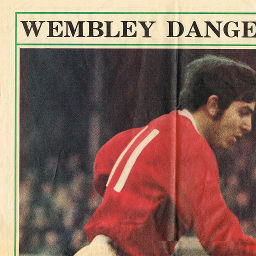 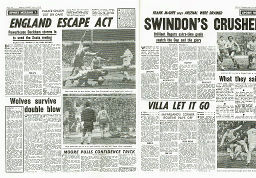 1969 SWINDON'S GOLDEN GOALS ON THE WAY TO WEMBLEY - AND TWO THAT GOT AWAY! 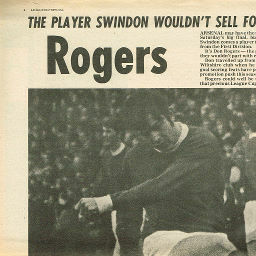 1969 THE PLAYER SWINDON WOULDN'T SELL FOR �100,000! 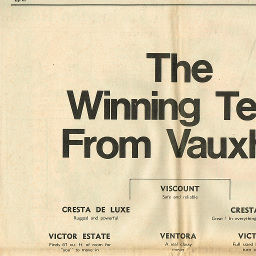 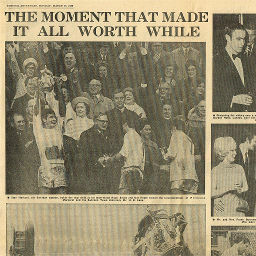 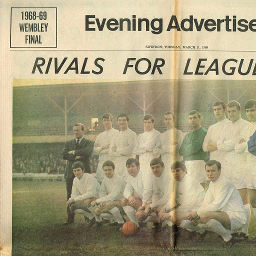 1969 THE WINNING TEAM FROM VAUXHALL! 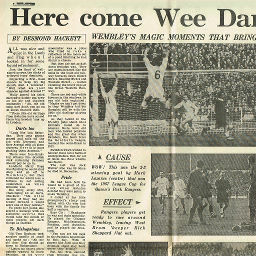 1969 HERE COME WEE DARLINGS! 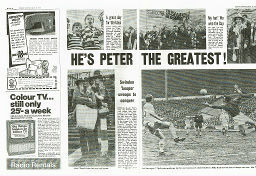 1969 HE'S PETER THE GREATEST! 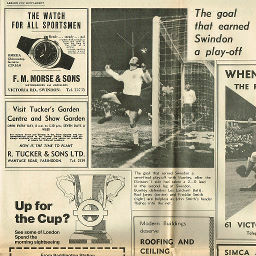 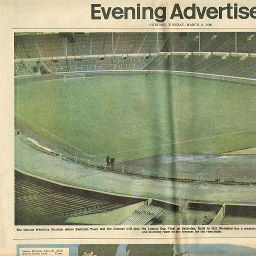 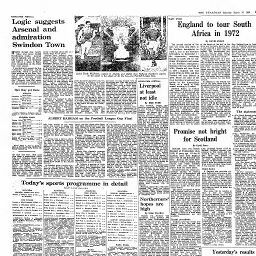 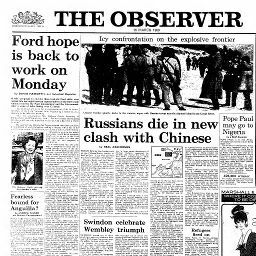 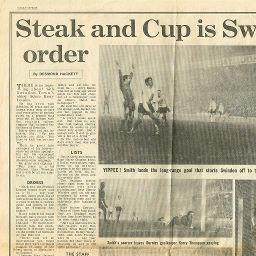 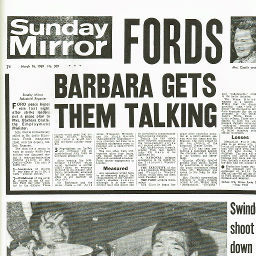 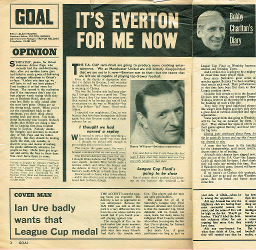 Click to view a newspaper report of Swindon's 0-1 defeat at Watford in the 1974-1975 season.